Lycanites Mobs | Faerie Nice! Fixed a bug where randomly selected subspecies weren't having their health stat refreshed causing them to have standard mob health. Fixed a bug where burning was being applied for 20x the duration is was supposed to be applied for! Argus now spawn in The End. Wargs now apply paralysis again instead of poison. Eyewigs can now breath underwater. Doubled the duration of the lifelink debuff inflicted by Nymphs. Fixed a bug where Ooze was debuffing various arctic mobs. Fixed a bug where Doomfire and Hellfiore was applying decay to Belphs and Behemoth. Fixed a bug where Phantoms could fear each other. Corrected default spawn of various mobs that should be spawning in The End. Fixed a crash caused by disabling debuffs used by the new Element System. Fixed a bug where Yales always visually had their wool. ============================================================ Lycanites Mobs Update: Faerie Nice! - Version 1.19.1.1 for Minecraft 1.12.2 Configs older than 1.17.3.2 will be reset. 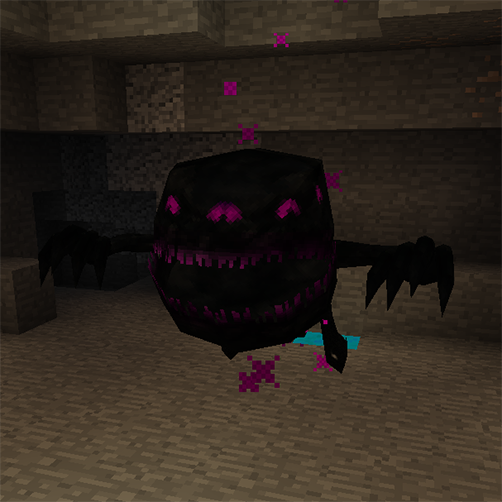 ============================================================ -------------------- New Features: -------------------- New Grue Model Added -------------------- Major Fixes: -------------------- Fixed a bug where randomly selected subspecies weren't having their health stat refreshed causing them to have standard mob health. Fixed a bug where burning was being applied for 20x the duration is was supposed to be applied for! -------------------- Changes: -------------------- Argus now spawn in The End. Wargs now apply paralysis again instead of poison. Eyewigs can now breath underwater. -------------------- Balancing: -------------------- Doubled the duration of the lifelink debuff inflicted by Nymphs. -------------------- Minor Fixes: -------------------- Fixed a bug where Ooze was debuffing various arctic mobs. Fixed a bug where Doomfire and Hellfiore was applying decay to Belphs and Behemoth. Fixed a bug where Phantoms could fear each other. Corrected default spawn of various mobs that should be spawning in The End. Fixed a crash caused by disabling debuffs used by the new Element System. Fixed a bug where Yales always visually had their wool.